Home Popularity Alert! Everyone Searching for GREAT Deals Near Me! Are You Trapped as Well? How many results does Google show when you search for “great deals near me” just before buying a car? Probably a number you cannot even count. Do you naturally assume that the first link is the best of the lot? Of course not. You are way smarter than that. All the stories about internet hoaxes do reach you and just because a computer program is saying that a deal is great, you cannot just believe it. Your search for the “best used car dealerships near me” must be wise and should depend on more than simple popularity. Is the dealer giving me a warranty? You don’t want to buy a tin can in place of a used car. You are entitled to specific warranties. Go for used cars Greer SC dealerships like the Family Auto of Greer who provides you with 2 years and 36000 miles warranty on every car that you see there and that is what you call a great deal. Authentic parts, skilled technicians, professional services, the best dealers will have these all. How easy is the financing? Is it a great deal if you lose one of your shoes, get dark circles and starve to death while convincing a bank to give you a credit? 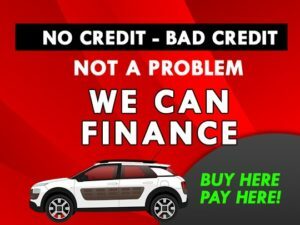 Or is this a great deal where your selected used car dealerships near me provide you with the necessary financing on the spot without taking a second look at your credit score? Again, you are smart. You know the right answer. The top dealers will give you easy financing, not make you run around the entire state. How long is the dealer in business? Well, experience brings expertise. And expertise assures you a great car. The seasoned dealers will look into every nook and cranny of a used car that is brought in and check for defects that amateurs can never detect. Even while buying the car, you can expect some top-class guidance as to which car can fit your needs. If you are paying money, you should pay for the right vehicle without getting swayed by the flashy deals. So, should you ignore Google’s results? Not necessarily yes, but if you think you deserve the best car for yourself, then look for the cars with warranty, and buy those who have experience in the buy here pay here business. One should use search results as a platform to shortlist some dealers. What everyone does is too mainstream. Smart people search for the right parameters and only go for the best-used cars Greer SC dealerships. Look into the actual deals that help you to buy an authentic car. What will you do with a custom-made key ring if the engine of the car does not start at all?